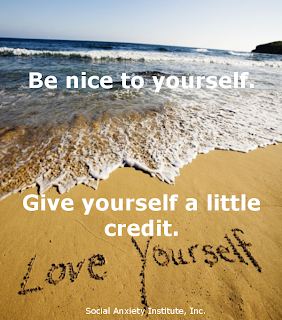 We all deserve to be nice to ourselves. New Year's Resolution: No more beating myself up. People fail to overcome social anxiety because they don't stick with it. 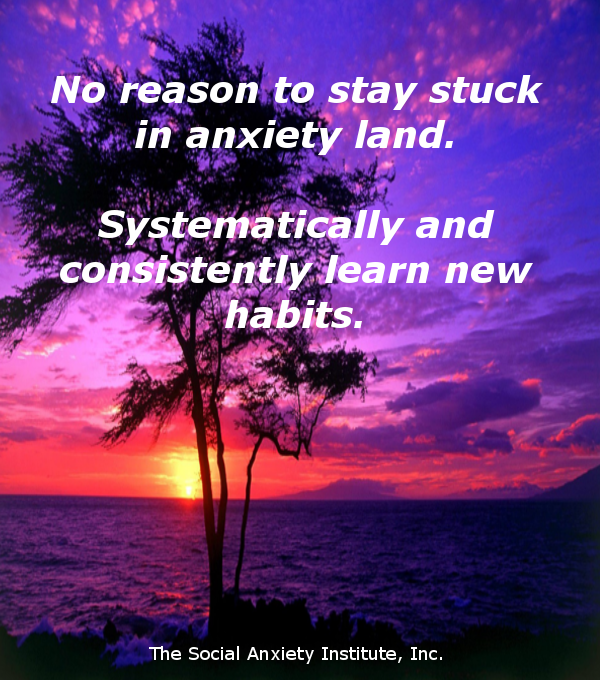 Cognitive therapy is not hard, but it takes daily, consistent learning and reinforcement to become rational. Research indications are that you learn new habits in two months if you systematically work on doing them each day. Keep a journal and keep working on your anti-anxiety therapy. You don't need everyone else's approval for everything you do. 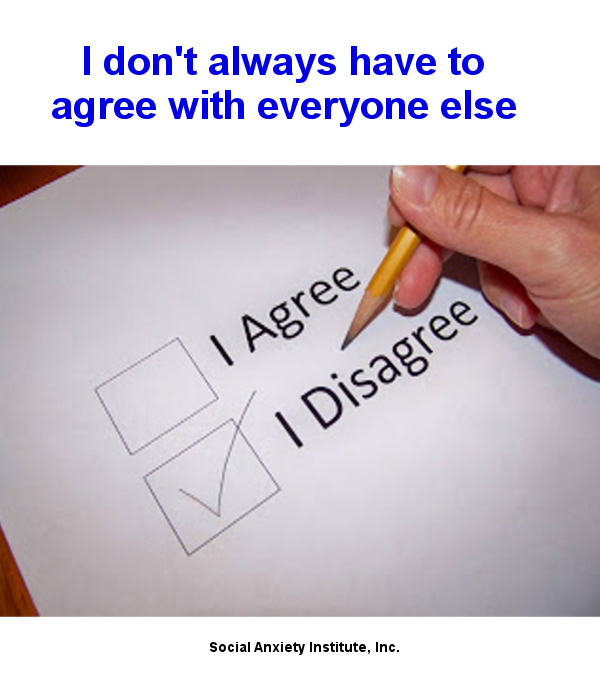 You are entitled to your own values, beliefs, and ideas. 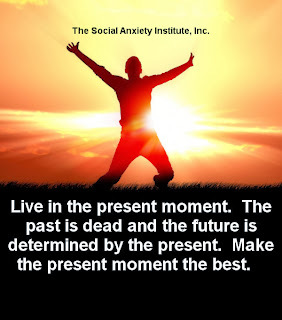 Live in the present moment. The past is dead and gone, and the future is dependent on the present. 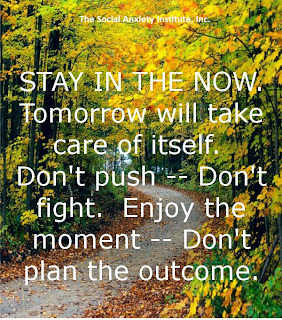 Focus on and live in the present moment. Happy Holidays!! 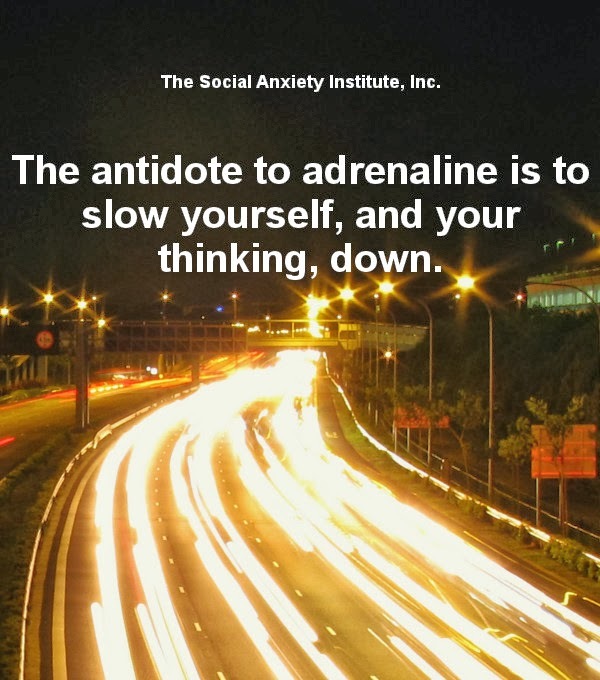 Anxiety is adrenaline and cortisol in the body. We must slow the flow of adrenaline and cortisol down, and make a habit out of doing this. Good therapy for social anxiety teaches you all this. 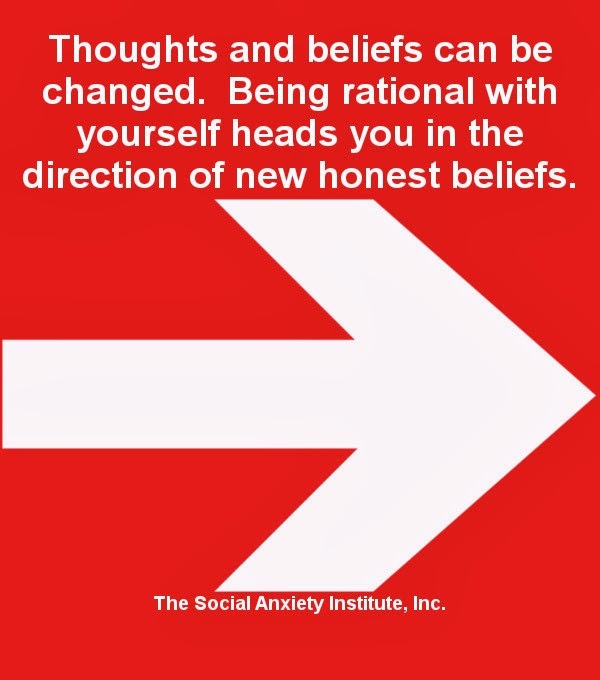 Which of your beliefs is irrational and which ones are not? You need to know the truth. 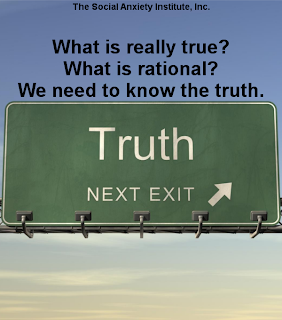 We all need to get rational with ourselves, discover what the rational truth is, and then reinforce and repeat it to our brain so that the truth becomes an automatic habit. This will change your life. 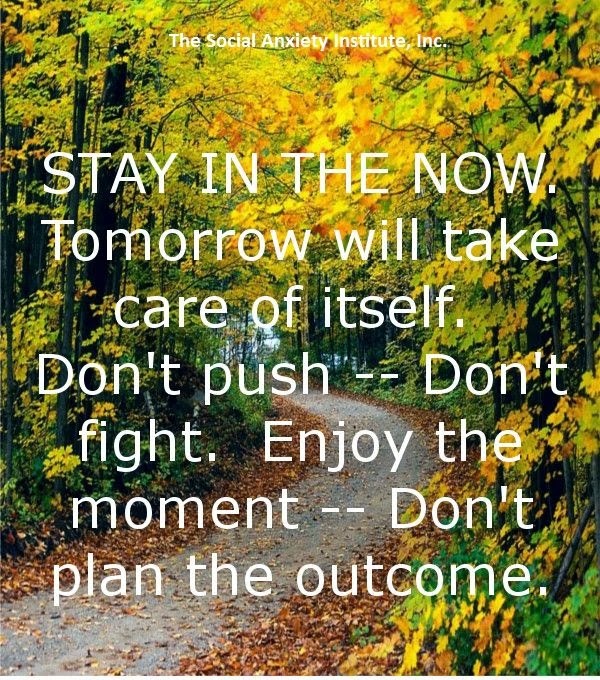 Stay in the present moment. The past is over and gone, and the future becomes the present moment at some later point. The future cannot be better unless you live in the present moment and make the most of it. 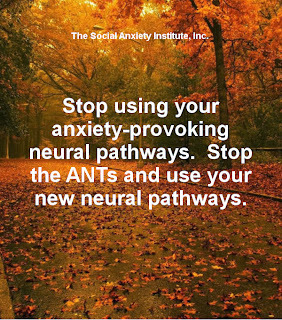 One of science's greatest advances proved to us that the neural pathway system in our brain can be changed, and that it changes because of action on our part. Cognitive-behavioral therapy has been shown to change the brain physiologically. One day everyone can brain scan this for themselves. Your brain is wired entirely different after an appropriate comprehensive cognitive-behavioral therapy program. Karen wrote about her progress: Automatic negative thinking can be changed. 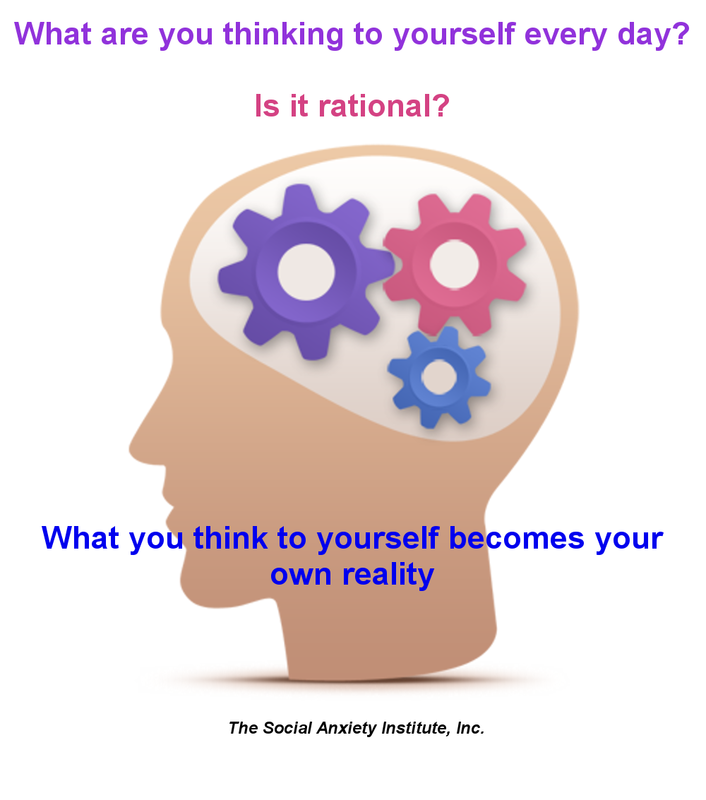 Learning to think rationally stops unwanted irrational thoughts and beliefs. I am doing so much better now. ...Once I started opening up about my battle with SAD, many people were surprised. All along I was sure everyone thought I was weird with my red face and the other unexplainable signs of embarrassment I displayed socially. I guess those thoughts I was having were irrational after all! 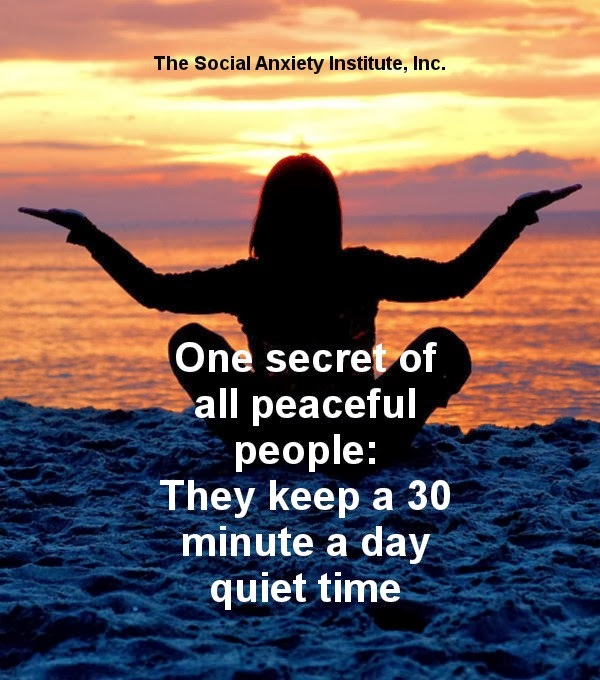 Peaceful people give themselves thirty minutes a day of private, quiet time where they can refresh themselves with rational, proactive thoughts and ideas. 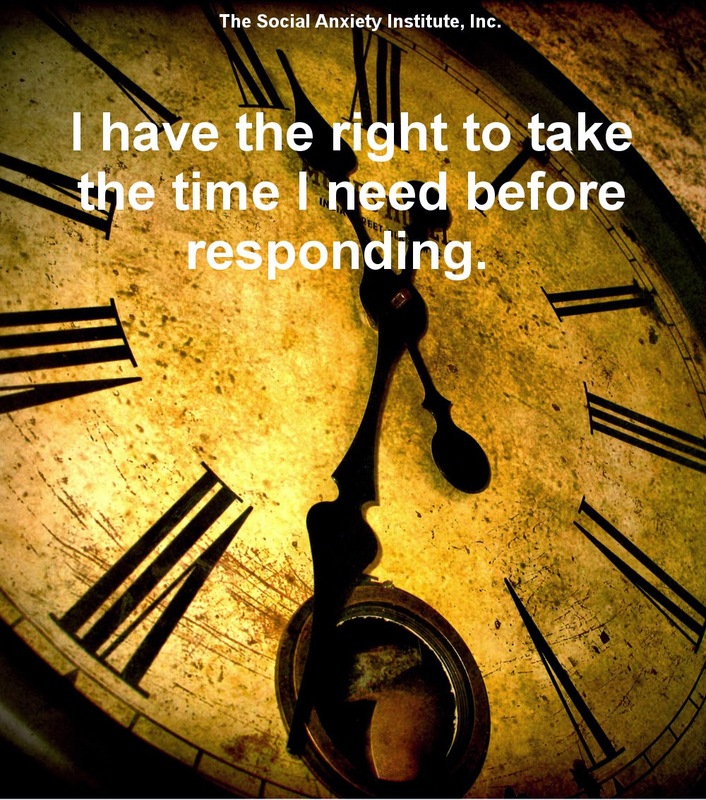 We can use this private time to overcome social anxiety. Beating ourselves up, blaming ourselves for things outside of our control, and dragging ourselves through depression and defeat are things we need to stop doing. You cannot begin to get better until you STOP beating yourself up. You don't deserve to do this yourself. 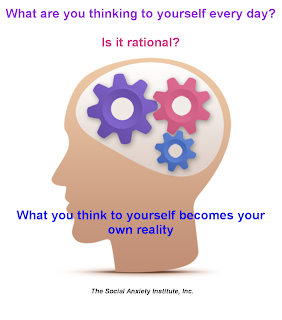 Think rationally: why should your own thinking hurt you??? 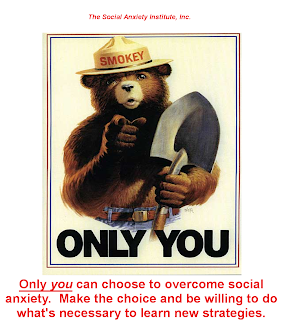 The December 2013 Social Anxiety Newsletter has been published. If you are not receiving it, you can sign up on the newsletter itself. Go here to see the new newsletter. We all need to lighten up and laugh sometimes. Social anxiety makes us too serious. Relax, loosen up, and laugh. 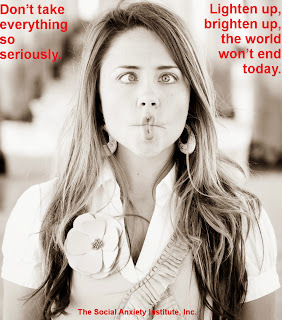 Don't take life so seriously. Social anxiety causes us to think negatively about ourselves. Is this judgment rational or should we open our mind to other, more accurate assessments that may be correct? You don't deserve to beat yourself up or put yourself down. Getting better involves becoming rational with yourself. Learn to calm down, loosen up, and relax. It is easier to be rational when you're calm. As you become more rational about things, the neural pathway systems in your brain change. If we're called on or put on the spot, respond with calmness and take your time. 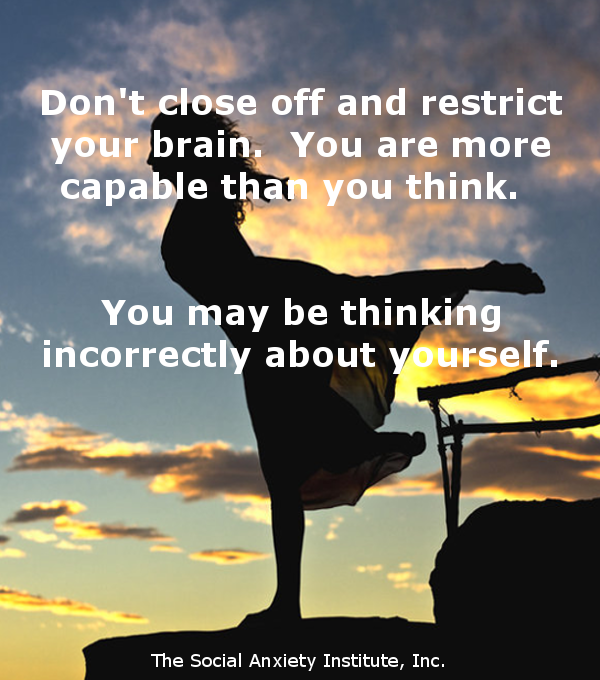 Give yourself a second or two to think. Slow your brain down and use slow talk when you answer. 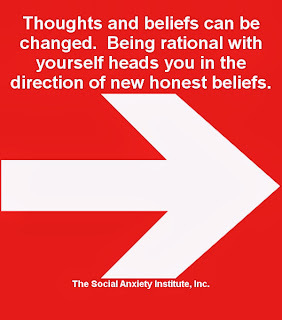 Anything rational you say to yourself every day becomes true. Stay away from telling your brain you "can't" do things and you "hate" doing this because it causes "too much" anxiety. 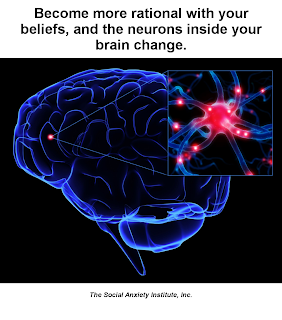 Your brain hears and believes you, and you act on your beliefs. Watch what you say, because what you say rationally, becomes true. 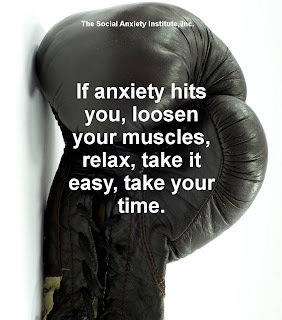 The very best (temporary) advice for dealing with anxiety is to calm yourself down, relax as much as possible, take a deep breath, take your time (don't pressure yourself and start rushing), and use slow talk if you're going to speak. This is the first strategy we use to start the process of overcoming social anxiety. There are dozens of other strategies we put into place, too. You are not to blame for having social anxiety, it's a common mental health problem, and it is not your fault. You are the only one who can do something about it now, though. 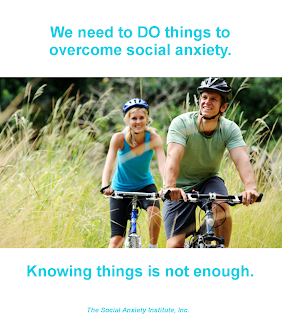 We have the proven research and clinical answers now -- people can and do overcome social anxiety in 2013. 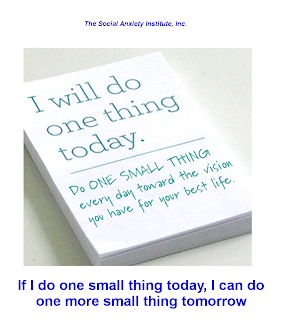 Taking one small step at a time really works. Get into the HABIT of taking that step every day. Consistency is key to success. 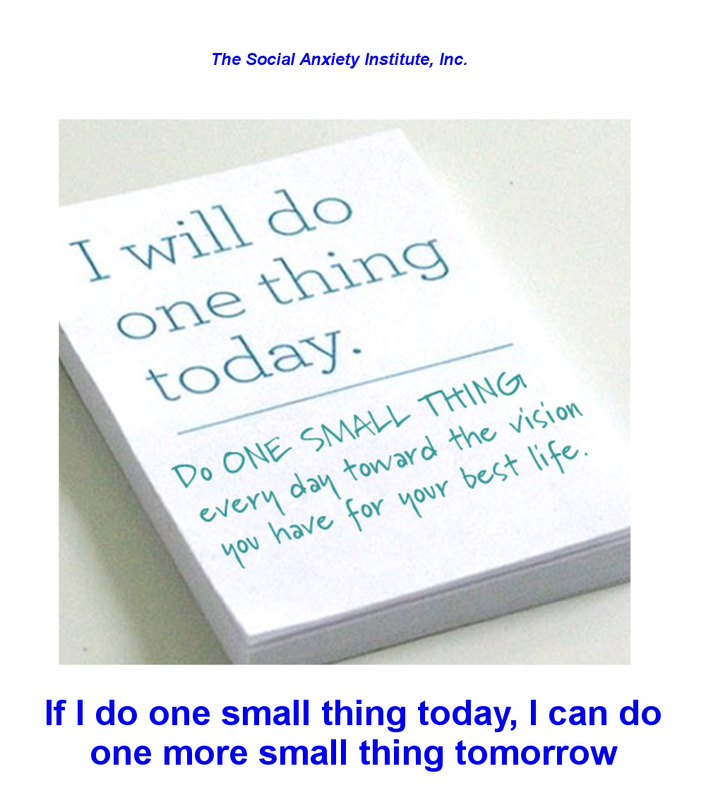 You overcome social anxiety by taking one small step against your anxiety. No flooding, no huge exposures, no "face your fears". Just one small step at a time. You are already accepted. Just sit back, relax, and accept yourself because it's the right thing to do. Accepting yourself for who you are means that you'll stop all the fighting and battling you've done in the past. When you stop fighting and battling, then the real healing can begin. You start the path of overcoming social anxiety when you finally accept yourself. You don't need to be perfect -- no one is. 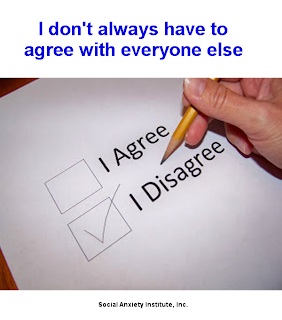 But every person has the right to accept themselves. It's important for us -- because we have been fighting against ourselves all our lives. 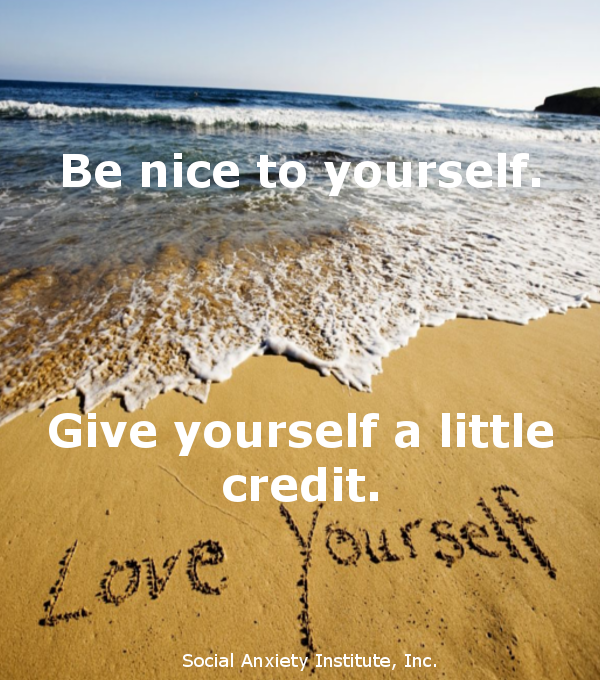 We need to sit back, relax, and just accept ourselves for who we are. When we accept, then we can change. 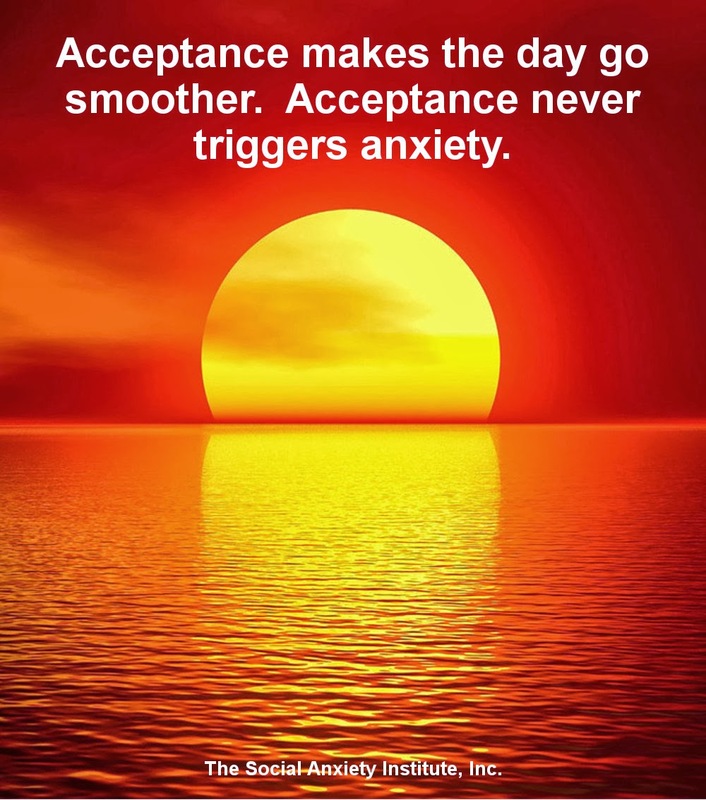 Acceptance is a foundational step to overcoming social anxiety. 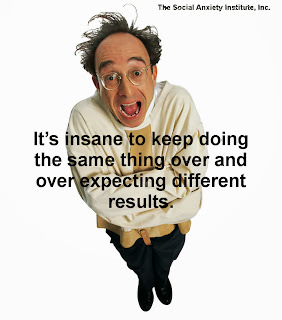 Doing the same things over and over and getting the same results is insane. WE NEED TO CHANGE THE COURSE OF OUR LIFE by doing things differently. 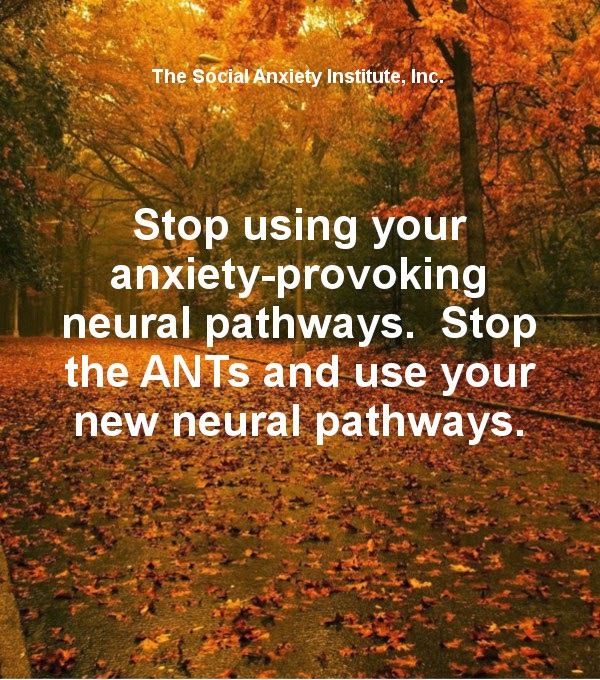 You can learn new ways of acting that will gradually eliminate social anxiety disorder. 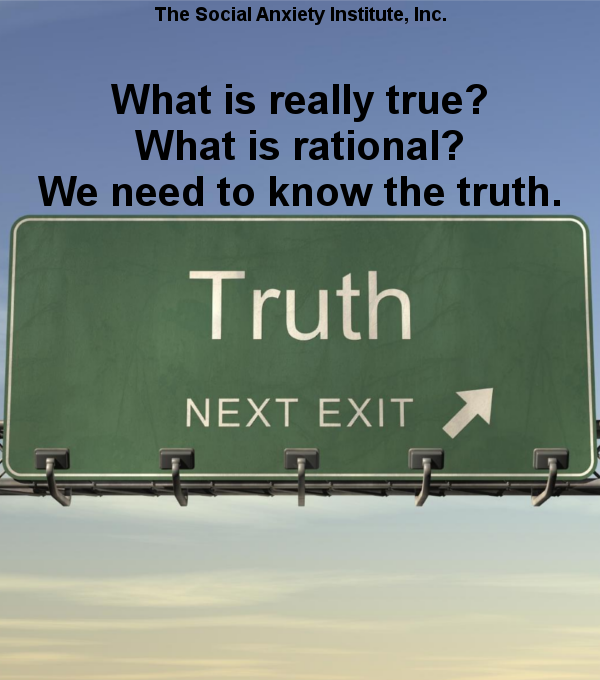 Knowing and understanding what is rational is great, but we must ACT on what we rationally understand. Talk to others, approach that authority figure, give a small talk, make a classroom introduction. 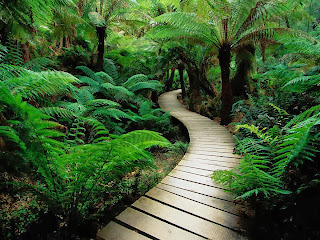 One step at a time One small step today leads to a better future.